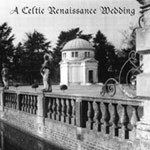 Searching for Great Celtic Wedding Music? Are you planning to celebrate your marital vows in the manner of your Celtic ancestors? Are you considering having a Renaissance wedding at a local faire? Or are you just looking for some traditional Classical music pieces? You have come to the right place to find the music you desire.This internet radio station is packed with several great wedding musicians from all of the world. So that if you don't find the music you are looking for in the Brobdingnagian Bards, you will find something else. You will also find some fantastic Celtic and Wedding resource links. And if at any time, you don't find what you are looking for, drop me a line, and I will help you find what you find it. Where can I order some music to listen to at home? In order to better serve you, we put together a CD filled with our most requested wedding ceremony and reception songs. It's called, A Celtic Renaissance Wedding, and you can now purchase your copy for just $11. Best of all, whether you are getting married or not, this is a CD you will listen to daily. On this CD, you'll find fifteen great tracks of classic songs The Bridal Chorus by Wagner. Plus, you'll find some beautiful original instrumentals as well as some very romantic vocal songs, including music by Chet Atkins and Clannad. Take a listen to the CD. You will soon find your love for your future spouse and your love of Celtic music will be as eternal as the music on this album. Buy our Celtic Wedding CD Now!